Spielberg, no doubt hoped for an epic. 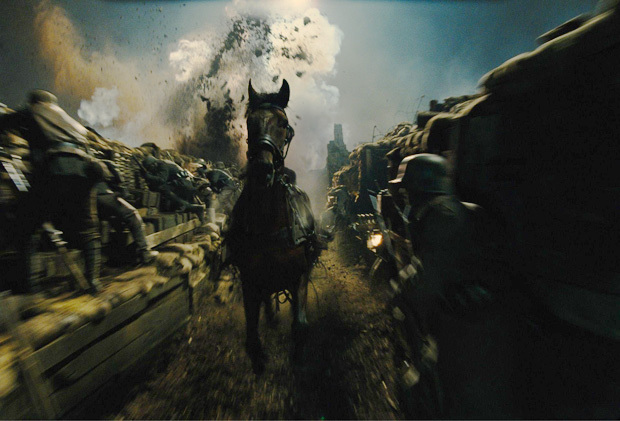 I’m sure that equestrians and fans of Spielbergian battle sequences will find this film perfect. A trusted, film-loving friend of mine dedicated herself to 3 viewings of this film in the theaters. She loves all things Cumberbatch and Hiddleston. Agreed. They are lovely. If only I could dream in such cinematography. Gorgeous in every frame, of course. I however, found it lacking in story and character development…possibly my two great musts in film love. It was hard to empathize with the horse. The facial expressions were hard to read. Perhaps a method actor? Other characters came and went so quickly, we barely had time to buy in. Most seemed interesting, but doomed. And, all were tragically doomed. WWI feels redundant at best, neck deep in trench muck. Not even the great creator of Band of Brothers could make this war seem a worthy front for fighting. One scene stood out from the rest, making a moment of life-changing film watching for me. It was worth the rental and the whole watch for me. The horse is tangled in barbed wire between the two front lines. A momentary truce is called, white-flagged to save the horse. Two soldiers, one German and one British, meet and greet and chatter congenially while working together to set the horse free. They wish each other well and walk back into battle reminding the other to keep his head down. The beauty of this moment, of peace and good will, mingles in the odd confusion of duty and conflict between brothers at war. Blackadder IV was pitch perfect at gettin WW1 from what I can surmise from any reading I’ve done. 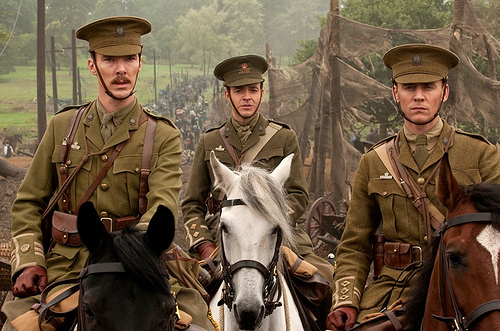 Not one film I’ve seen has encapsulated the war the way they did in that series! I definitely enjoyed the film but in looking back Spielberg did it manipulatively. I wrote in my Oscar review of this that I doubt I’d have connected if it was about a guy. The fact that people don’t want to see a horse in danger is where the movie gets you. Damn you Spielberg! 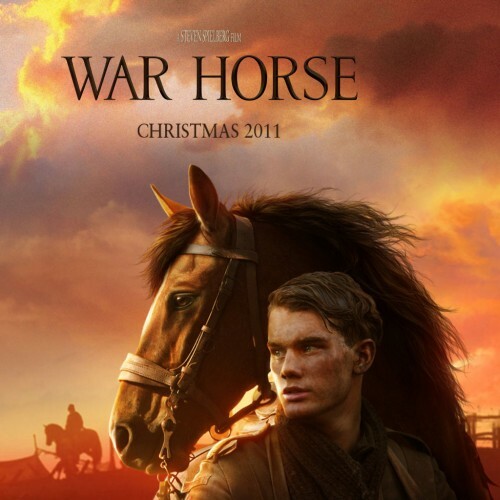 I can see this as Oscar Bait because nobody wants to see a horse in danger. I never saw it because it just didn’t interest me all that much. I haven’t seen the movie but my parents said that it was OK. I’ll see it someday and I will reviewed it. Nice post!